The Municipality of Anchorage commissioned a facility review in anticipation of the 25th anniversary of the center’s 1988 opening. As project manager for Theatre Projects, Nextstage Design principal Tony Forman compiled an extensive report detailing the condition rigging, lifts, adjustable acoustics, stage floors, seating, lighting, and audio systems. 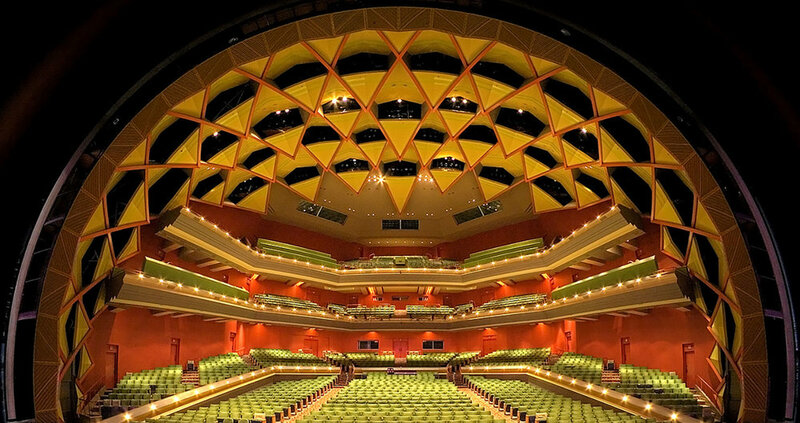 As a result of this work, the center undertook to replace the dimming and control systems in the Discovery Theatre and the Atwood Concert Hall, and to install a new orchestra shell with rigging improvements in the Atwood Concert Hall (pictured above). Tony documented these projects and coordinated implementation in phases over two years.